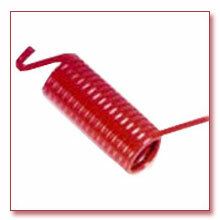 We have emerged in offering our valuable customers a wide array of umbrella springs. these cold soiled springs are offered in various types such as compression, torsion and tension. We ensure that premium quality raw material and machines are used to manufacture these springs.